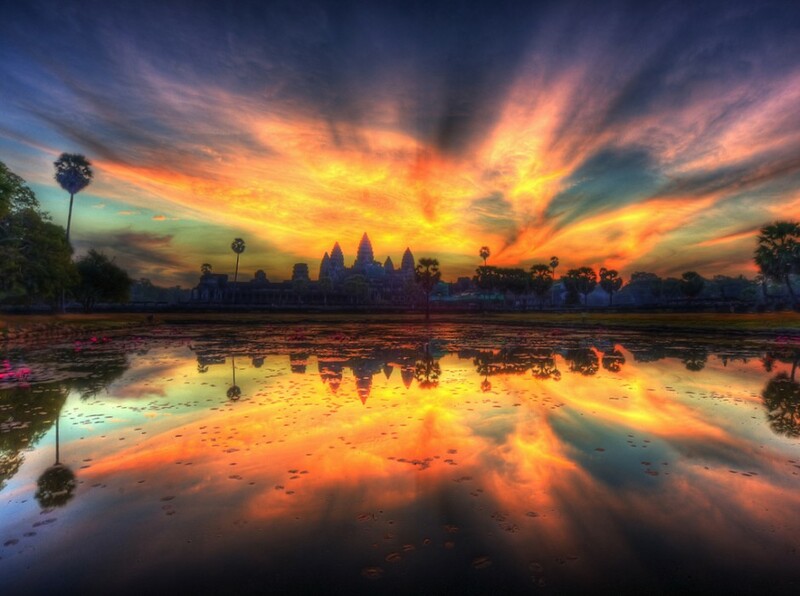 Angkor Wat is at the top of the list of places to visit for Cambodia, and possibly all of Southeast Asia! I’ve posted a photo tour, but this Angkor Wat video provides a different view – an aerial view of one of the 7 wonders of the world. Angkor Wat Video and photo is courtesy of Matador Network. Video is by awesome photographer/videographer Max Seigal. The videos fly over and through my favorite temples – Angkor Wat, Bayon, Angkor Thom, and Ta Prohm, all in Siem Reap Cambodia. For a photo tour of each, click the linked names. Pro Tip — Plan for big crowds; it was packed both times I visited. Decide if you’re going to try to catch Angkor Wat at sunrise – if not, choose a different order to explore the temples to avoid the largest crowds. Even if that’s your plan, visit Angkor Wat to capture your sunrise photo, and then leave that temple to start at Angkor Thom, since most of the crowd just stays at Angkor Wat. Then come back for sunset. This Angkor Wat video, “Angkor Wat from the Air,” will give you a sense of what the rest of the complex looks like. Have you been to Angkor Wat in Cambodia? What’d you think of it?